Huddersfield-based Air Parade, which traded as Luxury Villa Escapes and Villa Parade, ceased trading yesterday. It mainly sold packages to Spain and Portugal. The Association of British Travel Agents (Abta) estimates the firm has up to 70 customers currently abroad, but their holidays should go ahead as normal. 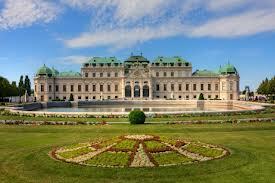 Abta said the firm has around 1300 bookings for future holidays with villa accommodation only. These will be cancelled, although customers will get their money back via Abta’s financial protection scheme. Around 400 bookings for flight packages will also be cancelled, with refunds paid via the Air Travel Organisers’ Licence scheme. Villa Parade’s website has been replaced with a page telling customers to contact Abta, or the Civil Aviation Authority if their booking involves a flight. 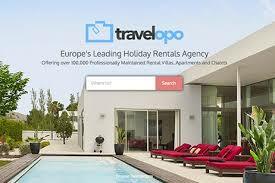 The firm has been locked in a legal battle with holiday rentals firm Travelopo. Details emerged after some Villa Parade customers received emails from Travelopo telling them their villa bookings were not valid. Is there a danger to work with some small holiday rental companies as the competition becomes hard? The site’s three-step booking procedure and responsive design allows users to view descriptions of apartments, properties and almost 300 local neighbourhoods and book on all platforms. Local advice on bars, restaurants, places of interest and ‘secret gems’ are all a part of the company’s move to create apartments which are launch pads from which people can ‘Go Native’ and enjoy a neighbourhood experience. “It’s a huge project that has finally landed into an industry leading website with live bookings and stunning design, something for us all to feel really proud of and a further demonstration of our ability to lead the way.” Shaun Prime, Managing Director. Thanks to the site’s new functionality, it’s now possible to search for apartments by price, features and facilities, and even distance from a specified location; the next phase of development includes a Go Native ‘Neighbourhood app’ helping visitors make the most of their stay. Go Native offers the widest range of all inclusive, ready-to-live apartments that put guests at the heart of the city the minute they arrive – giving them the freedom to make the most of their stay. Established in 1997, Go Native is an award winning provider of both short and long term apartments, operating across the UK. Go Native provides travellers with access to a comprehensive network of over 28,000 serviced apartments, all available on a flexible basis. Whether guests are staying for a night, a month or a year, a Go Native apartment offers value quality, privacy and independence. Furnished apartments for business travelers especially asked in fair cities – mixed concepts from a hotel and boarding house are in trend. The business travel market is booming in Germany – and so for Serviced Apartments-. With over 1.3 million overnight stays in serviced apartments, the capital Berlin comes first, followed by Munich with 986.000 overnight stays and Hamburg with around 526,000 overnight stays. 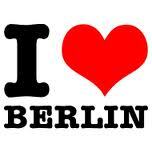 In Berlin there are about 3,700 serviced apartments, about 1,600 in Hamburg and Dusseldorf in just 900. And more apartment buildings will be built according to TOPHOTELPROJECTS, the leading information provider for hotel chains and hotel projects built. Around 1,100 Serviced Apartment establishments already exist in Frankfurt / Main – and the demand continues rising. According to a study by the company Georg Consulting, there are annually about 360,000 overnight stays in serviced apartments. This corresponds to a market share of around five per cent of all overnight stays in the banking metropolis. The average lower price for an overnight stay in a serviced apartment after all concepts and stay time is in Frankfurt at 68 euros per night. The average prices range from 80 euros to 200 euros per night. The average operation size in Frankfurt is more manageable with 47 apartments/operation (eg Berlin 56 apartments/operation and Munich 95 apartments/operation). The last few decades international trend observed an increase of Long Stay Apartments as a result of mobilization and globalization of the economy. Especially workers who must change their location work very often, or for a certain period of time, the so-called “job nomads”, contribute to the Boarding House or Property Serviced Apartments an increasingly important role. The regional Boarding House markets differ significantly from one another. The reasons for this include the appropriate regional economic structure and thus the trim on specific companies and industries as drivers of the demand for short-term accommodation. In summary shows that the proportion of overnight stays in serviced apartments in banking and trade fair cities are the highest. Most of the times mixed concepts (hotels with built apartments) are made. The highest market share, measured by the share of overnight stays in serviced apartments in total nights), the global trade fair city of Hanover with 12.6 percent. In Munich, accounts for about eight per cent, accounts for five per cent in Hamburg, Berlin 5.3 percent, 7.1 percent in Stuttgart and Leipzig in 4.6 percent of the total nights on serviced apartments. Around 80 percent of surveyed providers of serviced apartments estimate the future general market performance as growing. Only about 20 percent expect a constant development. From a market downturn no one assume from the respondents. As for the future in greater demand supply form see 80.5 percent of the surveyed houses a clear trend for mixing concept. Only a fifth of the surveyed houses keep pure boarding houses for the supply form in the future. HouseTrip informed hosts of the “important change” to its service via a recent letter in which it said as part of a new focus on couples and families it would be “removing all private bedrooms from our website” and in future only allow entire properties to be listed. The letter adds: “During this time we will be taking away search functionality for private bedrooms in shared accommodation, and removing them from our search results so they can no longer found by prospective guests. ” Existing bookings or upcoming check-ins will not be affected by the change, HouseTrip adds. HouseTrip says it is currently running at a 95%-5% ratio in favour of complete apartments to shared spaces, so it does not anticipate any major erosion of its overall product spread. An official says: “We want to be known for providing the best range of complete properties available for short-term rent. And we feel that this clarification of our offering is the best way to do it.” Including shared spaces in its portfolio was found to have “muddied the waters”, the official says. “The feedback we have received from many travellers is ‘yes, I want to get tips and advice from an owner. yes, I want the personal touch. Yes, I may even want to feel like a local. The company denies the move is anything to do with recent regulatory or taxation shenanigans affecting the likes of Airbnb or Wimdu which have a focus on shared spaces. Nevertheless, issues such as these are clearly triggering a fair degree of strategic soul searching for a number of brands as they look to anticipate where around the world they may face hurdles over their ability to operate (or those of their product hosts). Airbnb, for example, recently celebrated (and potentially breathed a huge sigh of relief) a regulatory win in France when a legislation was introduced allowing home owners to rent out rooms without seeking permission from local authorities. Its head of global public policy, David Hantman, says some 83% of its hosts in the French capital Paris share their primary residence – in other words, let out a room OR only have the property available for a limited period of time. HouseTrip’s move possibly illustrates how the main players in the rental/sharing economy are re-positioning themselves as providers of product in one particular area (shared vs complete rental). A source who until recently worked within one of the main global players in the sharing economy says there is a wider trend emerging: “After seeing good traction and interest in the mass audience, the involved companies are trying to get out of a niche and attack a more established market, providing an experience closer to what hotel customers are used to. This B2B conference for the serviced apartment and extended stay sector is designed to bring together leaders from across this growing sector to learn, share best practice and map the future. Buying Business Travel is pleased to be media partner to the Serviced Apartment Summit. Founded in 2011, 9flats, the Europe-based private housing reservation service has turned profitable. Roman Bach is the new CEO of the company, and Stephen Uhrenbacher will be the chairman of the advisory board. In 2012, 9flats acquired Canada-based private rental marketplace iStopOver. Bach says “This segment is the fastest growing business model in online travel. Berlin’s reputation as one of Europe’s coolest yet cheapest cities has boosted tourism by 275 per cent in only two decades. But Germany’s capital is preparing to turn its back on budget-flight visitors with new rules which will outlaw cut-price private accommodation. Legislation which comes into force on 1 January will make it illegal for the owners of Berlin’s estimated 12,000 private holiday apartments to rent them to tourists for short breaks. Those who fail to obey the rules risk being fined €50,000 (£41,700). The new laws are both a response to Berlin’s lack of affordable flats for longer-term rentals and an attempt to answer complaints from residents about the influx of weekend visitors to what the director of Berlin’s tourist marketing agency has called “the capital of holiday lets”. Mrs Steltzer said the problem began three years ago when the owner of one of the small flats adjoining her back garden began renting his rooms to weekend tourists. Since then two more flats have been adapted for holiday lets. “My heart sinks on Fridays when the sound of suitcase wheels heralds new arrivals,” she said. Berlin’s property owners’ association has criticised the new legislation as an unwarranted attack on free enterprise which will not ease the city’s shortage of longer-term residential accommodation. “The holiday flats amount for a ridiculously small proportion of Berlin’s total accommodation,” said its spokesman, Bernd Strehlow. Concerns among activists on Berlin’s left-wing alternative scene that the city is being sold out to property speculators has fuelled opposition to holiday rents and led to a marked increase in hostility towards tourists. Ares Kalandides, a Greek-born city guide, recalled the shock he experienced while escorting Israeli journalists earlier this year.